William Saliy (WG '02) is the Director of the Wharton Club's Career Speaker Series, a division of Career Management, and has been in this volunteer position since 2005. He received a Wharton MBA in 2002, majoring in Finance and Strategic Management. 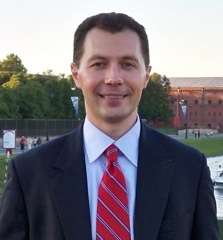 He studied Engineering in Ukraine and earned master’s and undergraduate degrees. William currently works as a Manager in New York office of Pine River Capital Management LP, a global multi-strategy asset management firm. Before joining Pine River, William held various positions in hedge fund industry and worked as a Vice President in Credit Strategy at Bank of America Securities.